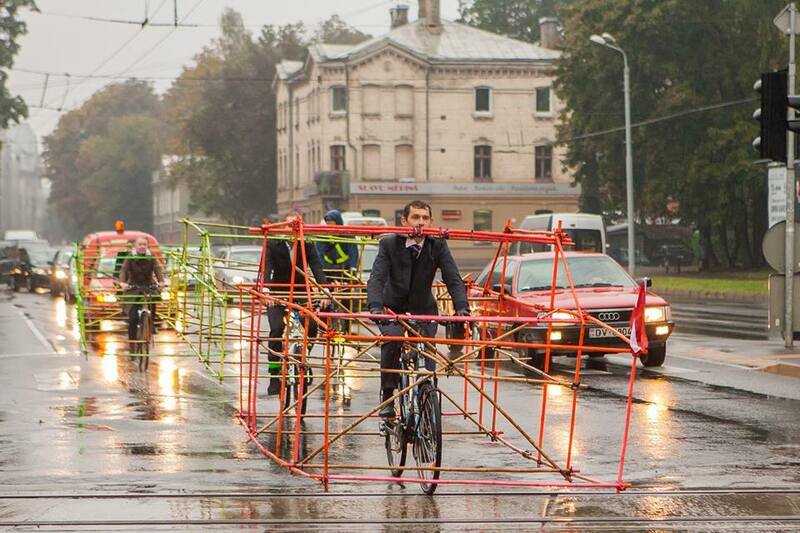 Have you ever thought about how much space a normal car takes up in the streets, especially if it carries the driver? 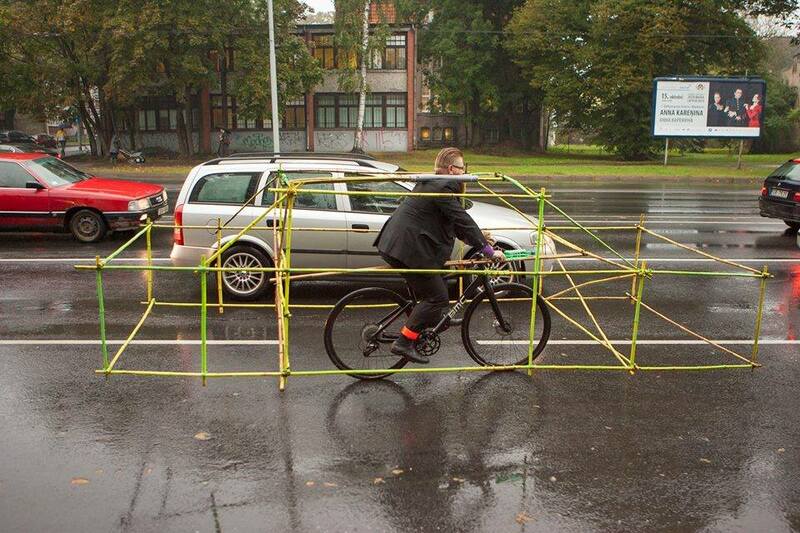 Well, if you live in a big city with impossible traffic, you must have. 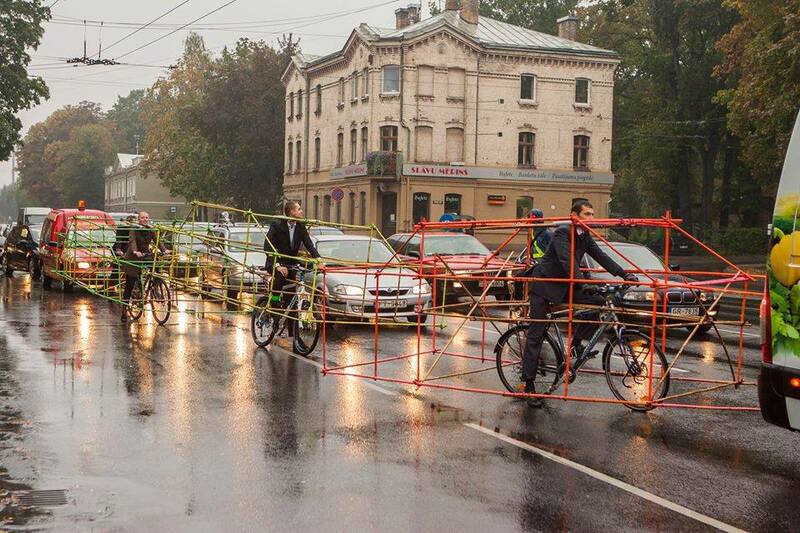 A party of Latvian bicycle activists have found an interesting way to visually demonstrate how ludicrous it is for large vehicles to carry just one person. 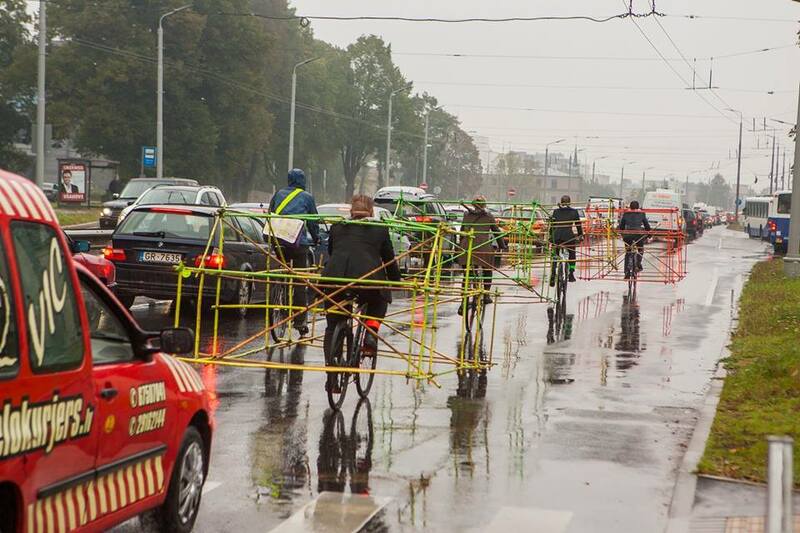 Part of the group Let’s Bike it, the Latvian cyclists constructed big, car-shaped bamboo skeletons and paraded them around Riga, over their bicycles, for some hours. 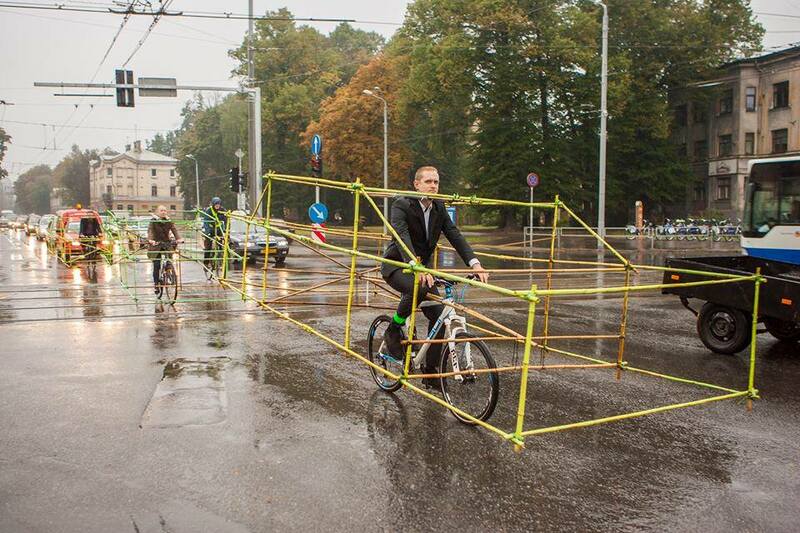 This trick was organized in the context of European Mobility Week, a sustainable urban mobility campaign and though undoubtedly frustrating for drivers, it actually managed to make a strong statement, whether people agreed with it or not. 18-Year-Old Urban Photographer Captures Ravishing Cityscapes Of New York.